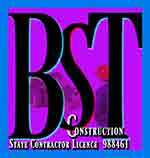 C & L Design Specialists Inc. has been given a Five Star Thumbs Up by Southern California’s most discriminating homeowners in Lake Forest time and time again. Why is that? C&L offers our clients expert custom cabinet designing, fabrication, and installation excellent. service. Clients have the best of all worlds when choosing our custom cabinets and we make this area in home improvement easy and painless. For over a decade we’ve made our client the priority. 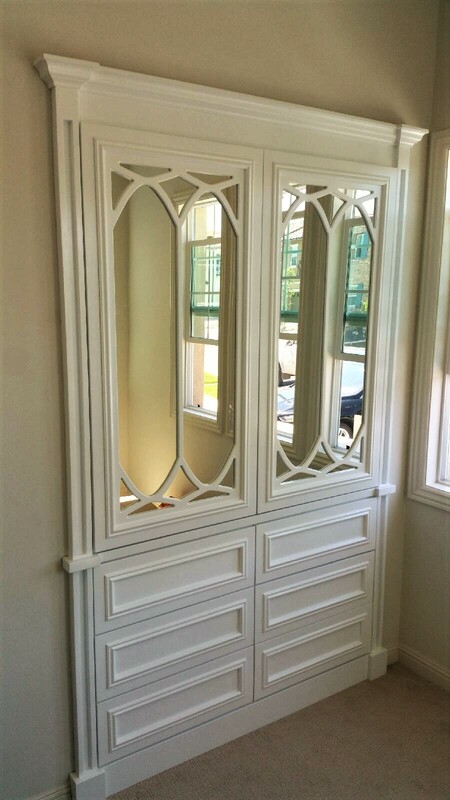 In Lake Forest and all over Southern California, we’ve been designing, building and installing custom cabinets. With our exclusive Customer to Engineer Online Custom Cabinet Designing, we take the traditional face to face meeting into the 22nd century. Watch as we design your cabinets on the computer where you’ll see what they will look like before they are built. We can even design online while you watch from the comfort of your home. Welcome to the future custom cabinets! Here’s a special client we had in Lake Forest, from the Home Builder’s Design Center, that had called everyone else. He needed a special closet conversion door but couldn’t seem to find it. When the economy is good you can’t get some companies to go the extra mile. They won’t spend the little time it takes in making something that’s seemingly impossible actually happen. C&L took his project, even though this immaculate door had to be created over 2 days. 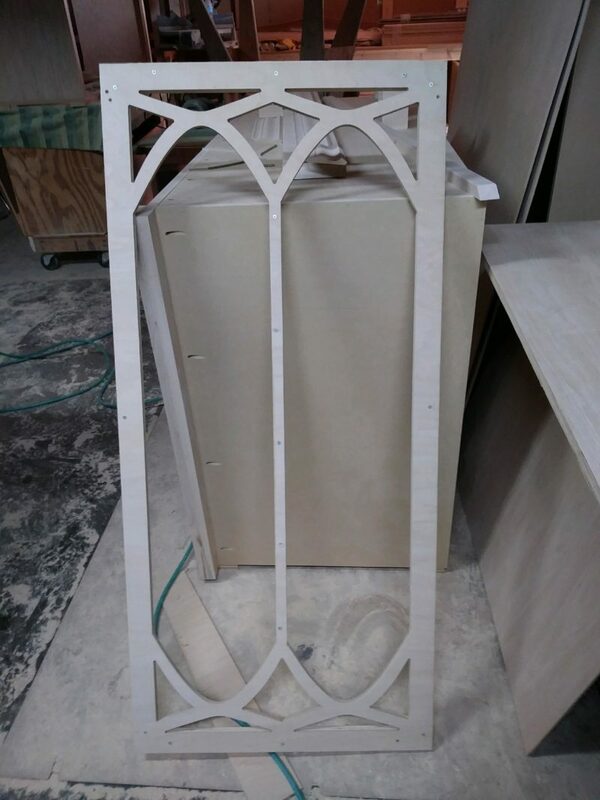 Our factory created a custom template, hand carved the scrollwork and produced a dream come true for this client. Our designers and factory only had a small picture supplied by the customer to work from. From producing this unit at half the price of the home builder, to have the piece completed and installed prior to move-in. Expect Excellence with C&L Designs because that’s what you’re going to get! Whether in Lake Forest or anywhere in Southern California, when you call C&L, you can always “Expect Excellence”! Learn more about custom cabinets in Lake Forest or anywhere in Southern California, and get a free custom cabinet consultation by calling 951-471-4847 (4VIP). We offer a complete range of cabinetry for your home.